Ram Nath Kovind Vs Meira Kumar: Who Is the Better Candidate? Today, Presidential election is under way to elect the new President of India. 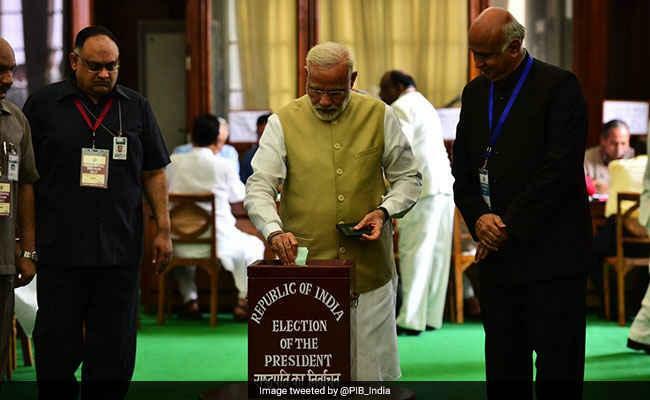 The former Bihar Governor Ram Nath Kovind and former Lok Sabha Speaker Meira Kumar will face off in the elections to choose India’s 14th President. Both the ruling and opposition party nominated Dalit candidate to show that the country is leading by an example by electing a candidate from the minority. It will be the second time India will elect a Dalit President since 1997. KR Narayan has been the only person from Dalit Community to hold this post. The voting began today at 10: 00 am across the states and will end by 5 pm today. Voting is conducted in 32 polling stations: 1 in Parliament and others in 31 states. After the voting, the ballot boxes will be sent to Delhi and stored in Parliament. The votes will be counted and results will be announced on 20th July, five days before President Pranav Mukherjee’s Presidential term expires. The special farewell will be given to President Pranab Mukherjee on July 23, 2017. Rising issues against the minorities might be the reason BJP has chosen the minority candidate for the post of President. Tokenism played a major role while nominating the candidate for the post of President. Ram Nath Kovind and Meira Kumar were nominated for the post of president by both the parties BJP and Congress respectively. Most of the people don’t know about the Presidential candidate Ram Nath Kovind. Ram Nath Kovind was born on 1st October, 1945 in Kanpur Dehat, Uttar Pradesh. He is a lawyer by profession and has served as a Central Government standing counsel in the Supreme Court from 1980 to 1993. He practiced in the Delhi High Court and Supreme Court for about 16 years, until 1993. The Dalit leader joined BJP in 1991 and was president of Dalit Morcha between 1998 and 2002. He was appointed as Governor of Bihar on 8 August 2015 and was appreciated for his work as a governor as he worked on irregularities in the promotion of undeserving teachers and mismanagement of funds. It seems Ram Nath Kovind will win easily against Meira Kumar as he will be getting nearly 70% of Electoral College votes. “I am sure Shri Ram Nath Kovind will make an exceptional President and continue to be a strong voice for the poor, downtrodden and marginalized, “PM Modi tweeted after a BJP meeting chaired by him decided on the Dalit leader’s name. Meira Kumar was born in Arrah district, Bihar on 31 March 1945. After serving Indian Foreign Services and embassies in Mauritius, Spain and the United Kingdom, she entered the electoral politics in 1985. The senior Congress and Dalit leader became the first woman to serve as a speaker of Lok Sabha from 2009 to 2014. She has been a five-time Member of Parliament and has been elected from three different constituencies: Bijnor in Uttar Pradesh, Karol Bagh in Delhi, and Sasaram in Bihar. She is known for defeating two powerful political leaders of Indian politics, Ram Vilas Paswan and Mayawati. Congress made it a Dalit vs Dalit battle after nominating Meira Kumar for the post of President. The soft spoken Meira Kumar has also been a member of the Congress Working Committee (CWC), the highest decision-making body of the party. Let’s see how things turn out for Meira Kumar on 20th July when the results will be announced. Let's see who is elected as the President of India.